A no-blame approach to workplace bullying is often chided for being 'too soft' and 'letting the bully get away with it'. Unfortunately what all such viewpoints fail to take into account is the subjectivity of what 'bullying' actually means and the fundamental ineffectiveness of the traditional 'blame' approaches to bullying allegations at work. Many workplaces adopt what could be called a 'proof and punish' approach to allegations of bullying at work and the immediate 'reaction' to such allegations will usually involve some form of investigation into the 'facts' of the matter. Unfortunately the definition of bullying varies wildly and so the possibility of an objectively assessed outcome is unlikely. As a consequence it is incredibly rare that any such investigation leads to a satisfactory outcome for anyone involved. One of the main failures of approaches to bullying allegations is the prevalence of the 'guilty before proven innocent' assumption that means someone is labeled as a 'bully' before any investigation has occurred, and then, as stated above, such investigations are rarely effective and so the person labeled as a bully then seeks redress for the damage to their reputation, or simply leaves the organisation, perhaps with some form of legal action against the organisation trailing in their wake. You can perhaps see, or will have directly experienced how much of a 'mess' the situation can then become and why it rarely if ever leads to an effective outcome for those concerned. So what is a 'No-blame approach to workplace bullying allegations'? 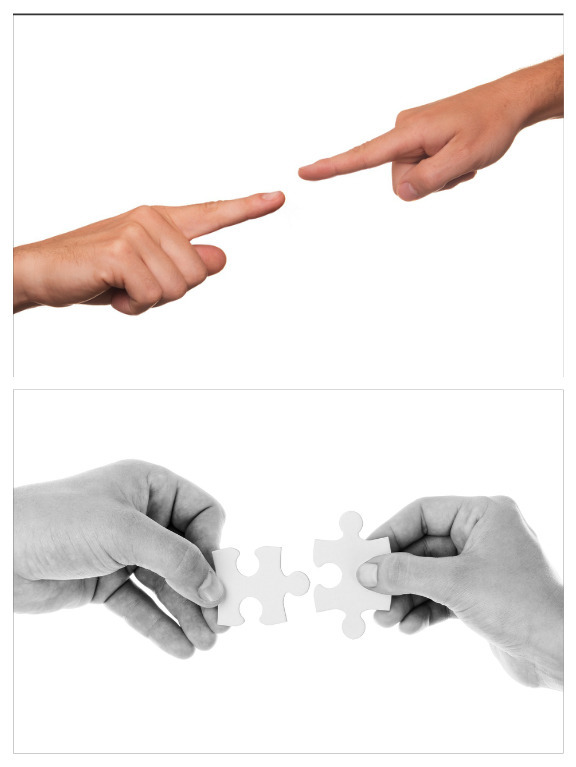 Mediation is a process that adopts a no-blame approach to any dispute it is involved in supporting towards resolution. The book introduced below describes outcomes of mediation processes where allegations of bullying have been significant within broken working relationships and how, by exploring the behaviours and actions that have occurred rather than seeking to 'prove bullying has occurred', those working relationships have been re-establshed and supported in returning to effective working relationships. Most situations where bullying has been alleged and have been 'investigated' lead to irreparable breakdown in the working relationships concerned whether a clear outcome has been achieved or not. This results in staff leaving an organisation or having to be transferred to a different area of the organisation if it is large enough to accommodate this. A sense of dissatisfaction with the outcome will often mean the issue does not end there and whether the staff involved leave or not, there will frequently be consequences of legal action, long term absence due to stress and other damaging consequences for both the individuals involved and the organisation's productivity and 'bottom line'. Alongside this will usually be damage to staff morale where such situations occur within working teams. The book How to Resolve Bullying in the Workplace - Stepping out of the Circle of Blame to Create an Effective Outcome for All describes how, by letting go of the focus on 'proving bullying' and moving towards taking the damaging actions and behaviours as a basis for discussing and reviewing and then creating new and more effective, respectful actions and behaviours, working relationships can be re-established without the destructive consequences of a lengthy, stressful, adversarial investigative approach. Frequently, during, and as a consequence of investigative approaches there becomes a 'circle of blame' where all involved start to criticise each other for the situation that has arisen, including those tasked with managing the situation. Taking a no-blame approach to workplace bullying allegations prevents this destructive use of time and energy from becoming chronic and paralysing and enables a challenging but constructive, creative and respectful way forward. 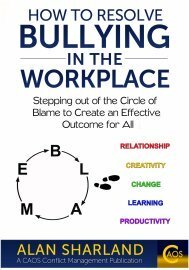 The approach described in the book is based on actual examples of where this has occurred and so is not a 'theory based' book but a direct recounting of the approaches that have successfully supported resolution via a no-blame approach to workplace bullying allegations. 3. The person tasked with responding to the bullying allegation by the organisation in which it has occurred. The book explains how a Mediator is not required in order to facilitate effective outcomes but at the same time it may be that circumstances sometimes mean the use of a Mediator or Conflict Coach can be supportive. The focus of the book is on supporting each individual to play their own part in creating an effective outcome for themselves and, in turn, for all. 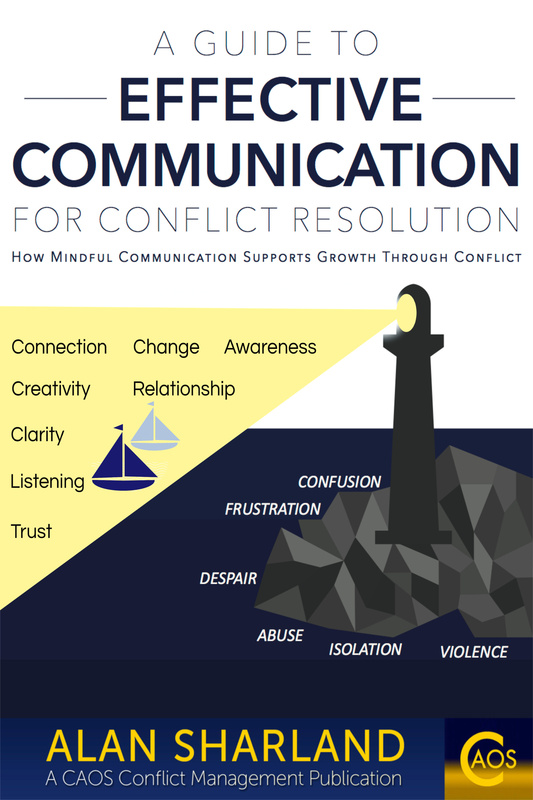 This is a superb resource for any employer, HR manager, mediator or student of conflict management. Its core principles are sound and articulated simply and effectively.